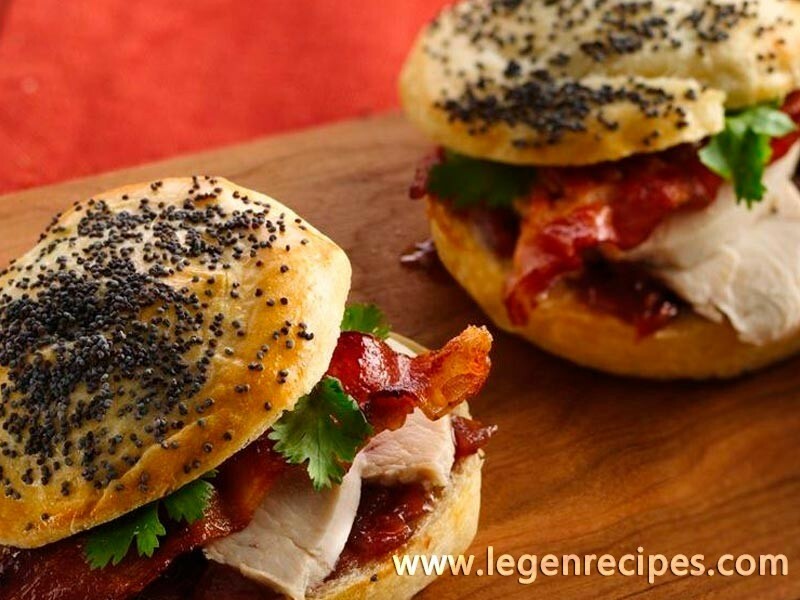 Bacon-Chicken Sliders with Raspberry-Onion Spread. There’s a sassy new mini sandwich in town! Chicken, bacon and extra goodies are sandwiched between flaky, baked crescent rounds.